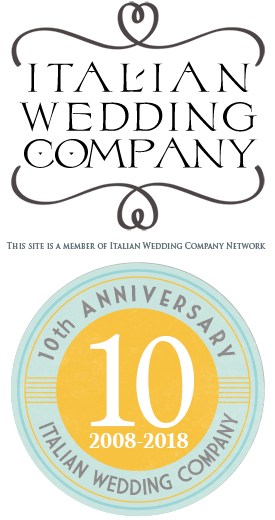 Wedding color schemes are often based on trends or bride and groom’s tastes and wishes. But not always! 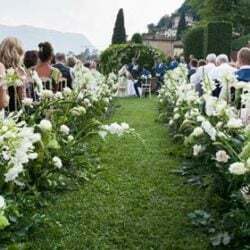 Sometimes brides and grooms decides about their theme basing on something they are very close to such as colors of their region or home country. Do you remember about Cristina and Derek and more recent wedding of Sonja and Allard. Today is Nicole and Euan‘s turn. Nicole is Australian and Euan is from Scotland. 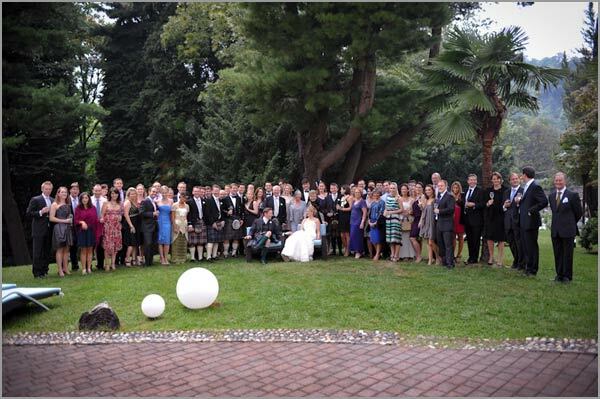 It is just for Euan’s home country that the couple decided for a blue and white schemed wedding. Blue and white recalls the legendary St. Andrew’s Cross national flag of Scotland. This is one of the most ancient flags in the world dated back to 800 a.c. Flag is made of a diagonal cross representing St. Andrew Martyrdom’s cross on a blue background. St. Andrew is the patron saint of all Scotland. 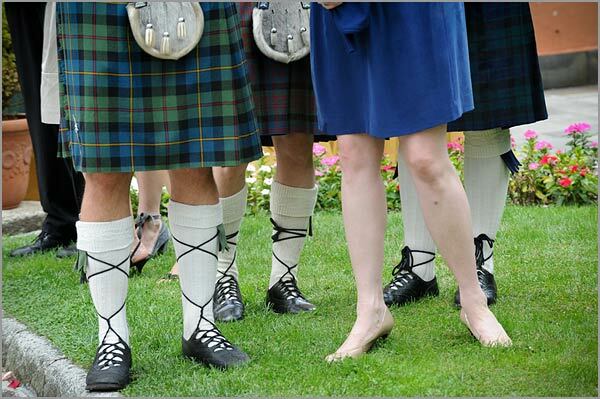 Blue and White are in all national sports wears of Scotland starting from national soccer team. 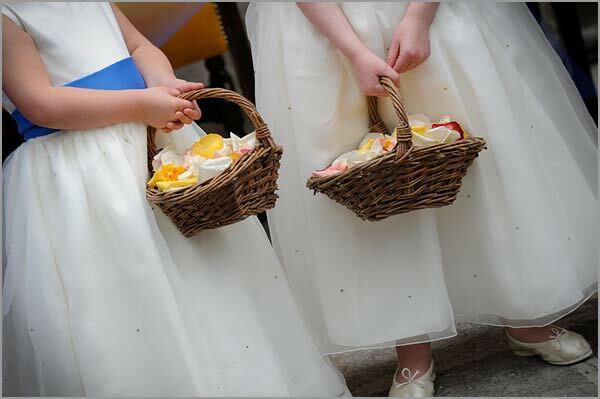 In Nicole and Euan’s wedding blue and white were just everywhere: in floral arrangements, on flower girl’s dresses and in Nicole’s bridal bouquet. 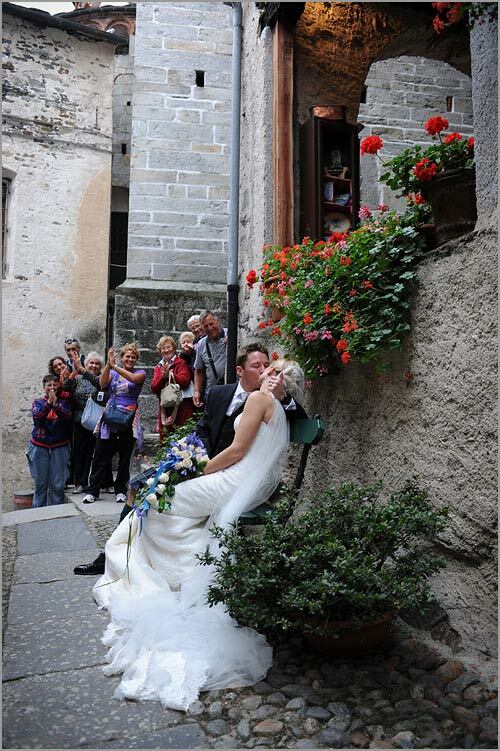 This was a special cascade bouquet that Monika – La Piccola Selva Floral designer – created with white roses and blue gentianas. 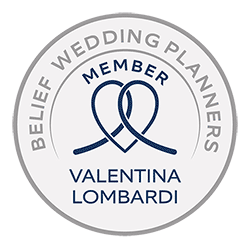 The event was coordinated and planned by our wedding planner Valentina Lombardi who works on Lake Orta and Lake Maggiore. Valentina will tell us more about this event. A very special interesting and sweet couple! 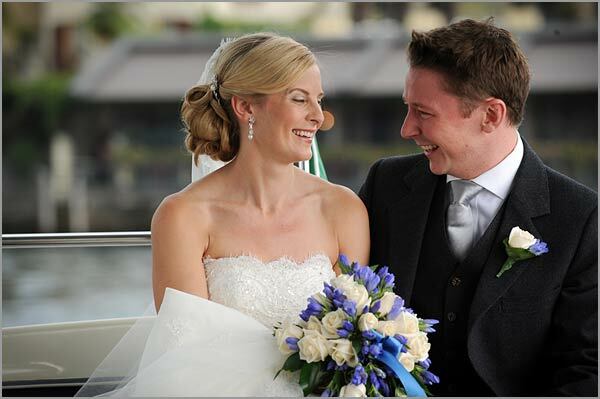 Euan is Scottish and beautiful Nicole is Austalian they both live and work in Dubai. 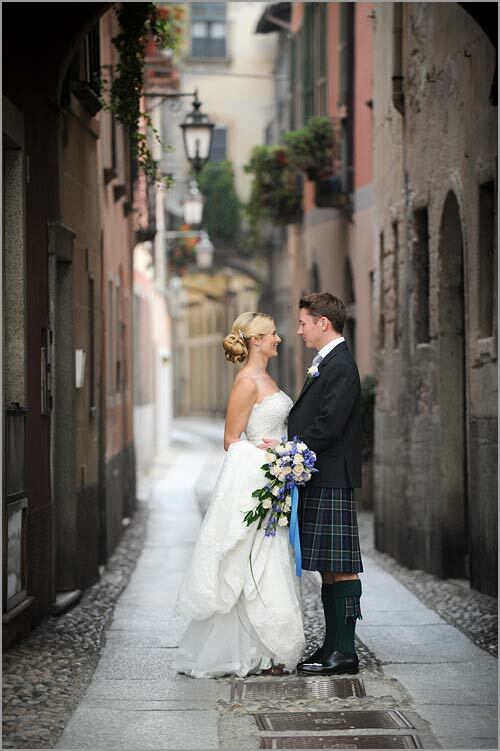 For their special day they opted for Italy because they simply love the food the rustic and quaint atmosphere and also because Euan worked here for about one year. Nicole also wanted a wedding by the waters of the sea or the lake. Putting all these elements together we thought that Orta could be perfect, so intimate, medieval, romantic and just on the lake shores! Nicole for her wedding wanted something classical and chic with a timeless elegance theme just like Grace Kelly times. 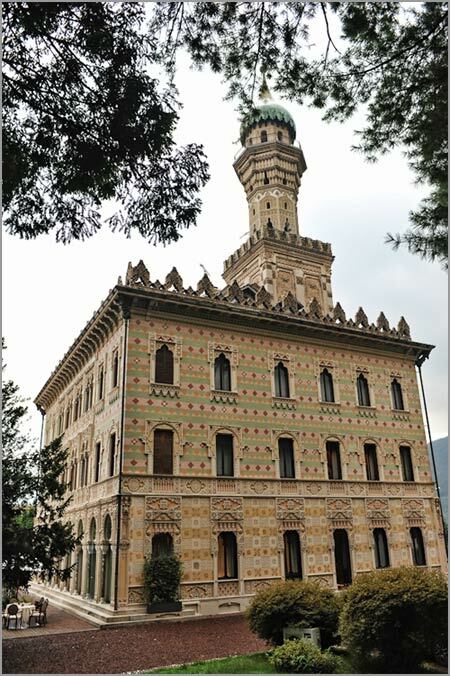 Orta architecture touched their hearts with its facades, narrow roads, pastel colors of houses and little details like the iron gate of the town hall and coat of arms. 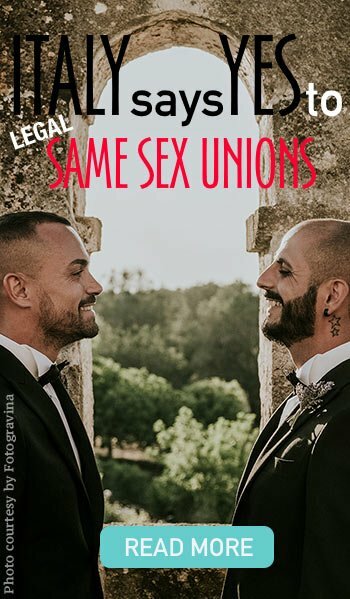 When Nicole and Euan looked at Black and White Orta article with Alfonso Longobardi’s photos the finally decided that Orta was more than perfect and Alfonso was going to be the one taking care about their wedding pictures! 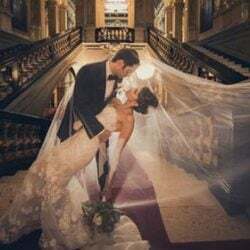 A couple who did care about details and historical settings for their wedding! 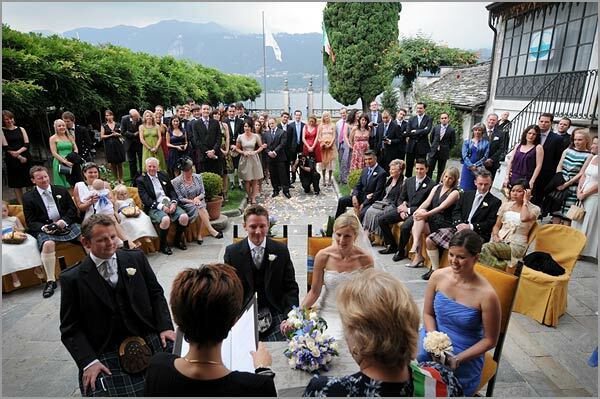 As usual civil ceremony was held in the garden of Villa Bossi. 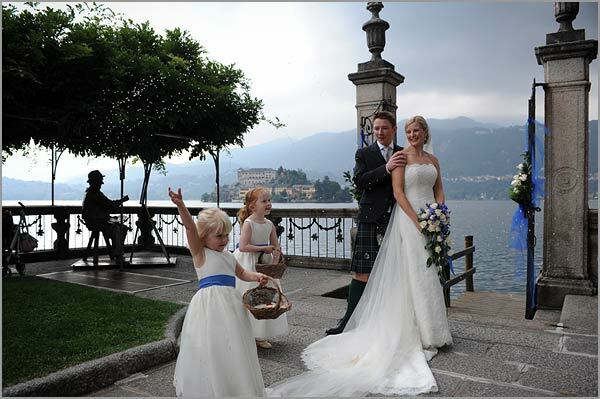 Groom and groomsmen wore their traditional kilt, white and blue were everywhere for a day Lake Orta become a little strip of Scottish Highlands! 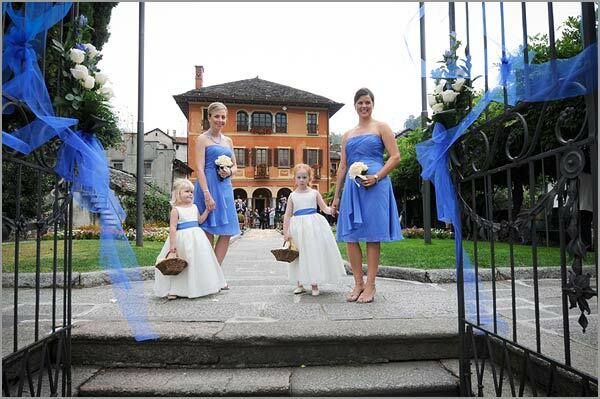 Have a look to wonderful white little dress of the flowergirls with a blue belt and ribbon on their waist. After the ceremony bride and groom had a lovely boat tour with a motorboat reaching St. Julius Island. Alfonso Longobardi took a lot of portraits. 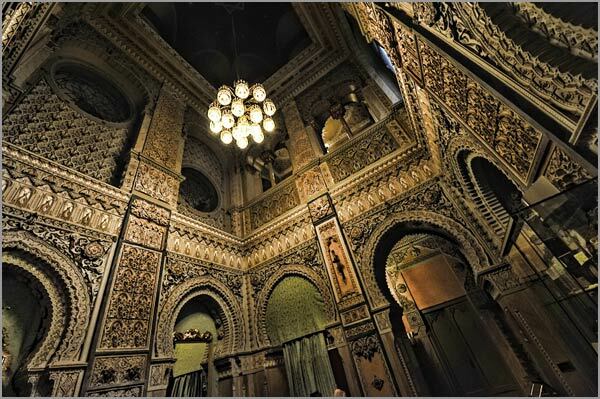 Great shots from the very famous photographer coming from Naples. 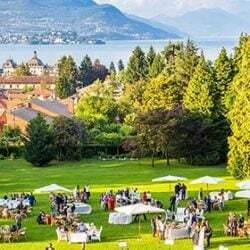 The reception has been set in the garden of Villa Crespi with famous Lake Orta Moorish Villa on the background. Frescoes and decorations and the high minaret are the perfect setting for an elegant reception like Nicole really wanted. 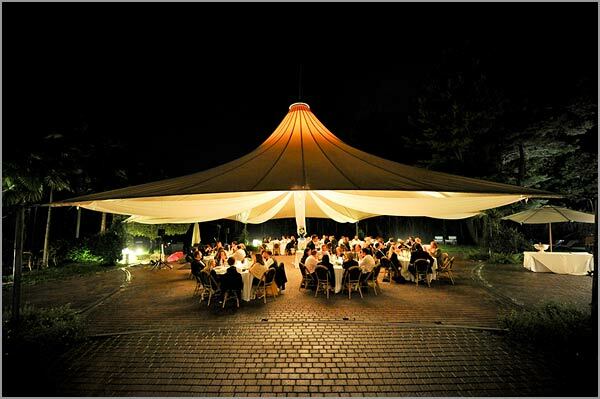 Villa Crespi is also well known for its 2 Michelin Stars restaurant a dinner you cannot forget! 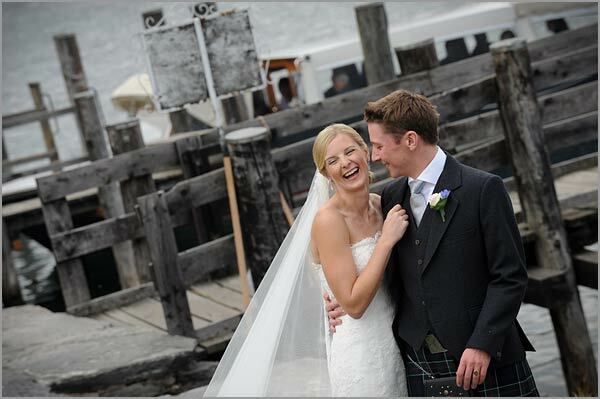 A fairly tale wedding for Nicole and Euan on the music of Scotland the Brave…. Towering in gallant fame, Scotland my mountain hame, High may your proud standards gloriously wave, Land of my high endeavour, Land of the shining river, Land of my heart for ever.